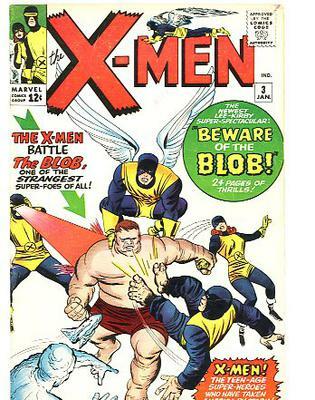 X-Men #3 and X-Men #4 Values? X-Men #3 and X-Men #4. Both showing some wear, a little creasing at corners, some softening on the spine etc. Editor's reply: Thanks for writing, and thanks also for the extra images you sent in. Having seen close-ups of the corners, I would estimate both comics to be in the 3.5 to 4.5 ranges. If you have these graded by CGC, then you can expect X-Men #3 to net you $200, and X-Men #4 around $220. "Raw" (ungraded), you'll get about 35-40 percent of those amounts. We can pay you $130 for the pair if you want to sell. 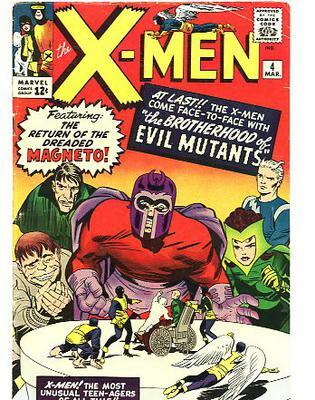 Thanks for sharing your cool old X-Men comic books. If you find any more, please send them in! Comments for X-Men #3 and X-Men #4 Values? What a joke. This is the worst lowball offer I have ever read. The page is over five years old.